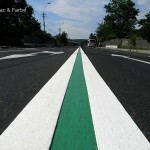 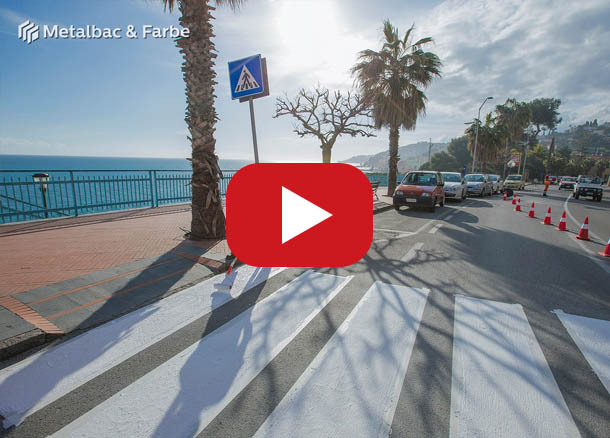 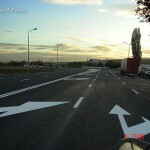 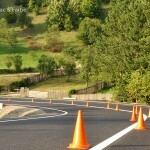 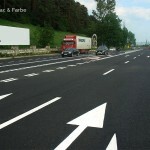 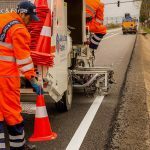 Farbeplast – Plan is a 2K Cold-Plastic system, based on MMA (methyl methacrylate), that can be used for application of 1 up to 3 mm thick flat (plain) road markings. 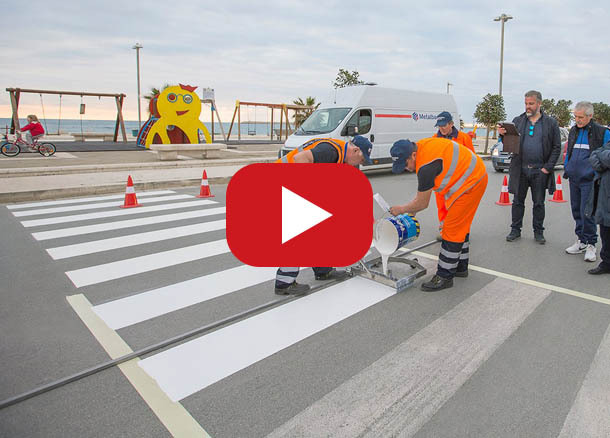 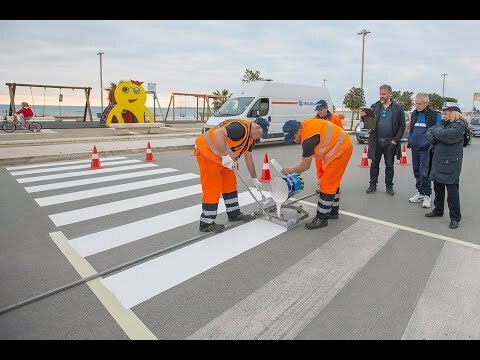 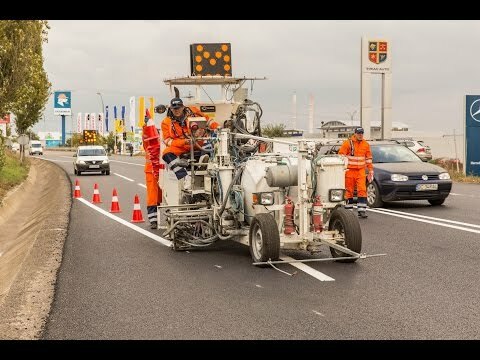 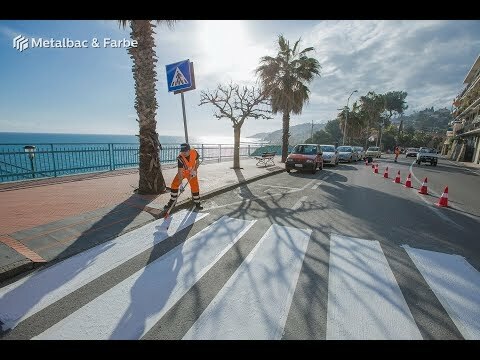 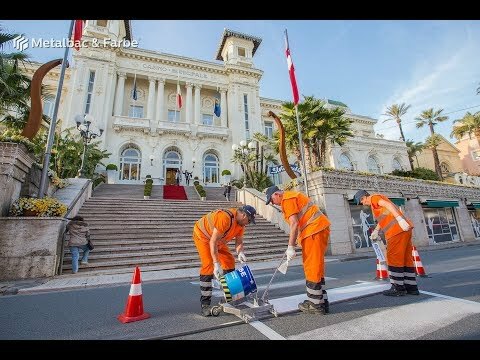 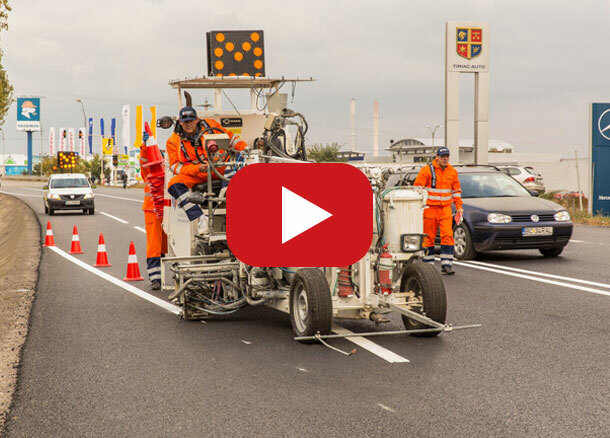 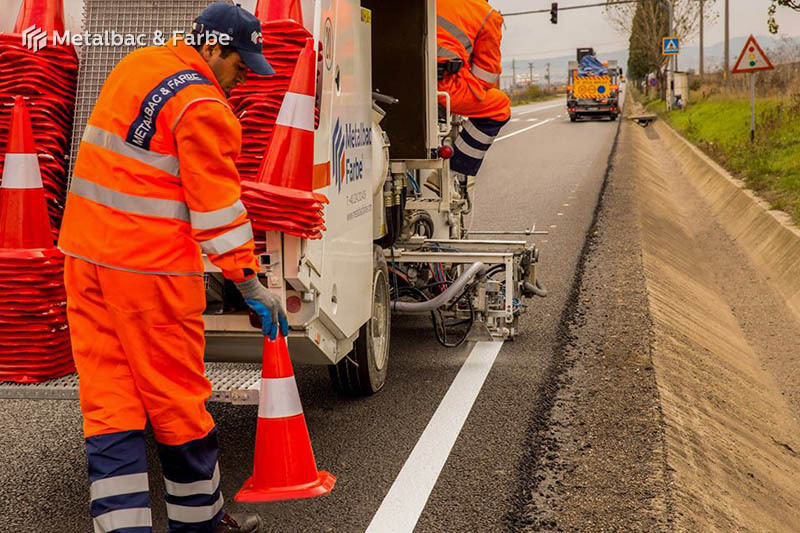 The 2K material Farbeplast – Plan can be applied as longitudinal road marking through extrusion with special road marking machines or as transverse or diverse markings such as: horizontal road marking signs, pedestrian crossings, bicycle lanes, parking spaces etc. 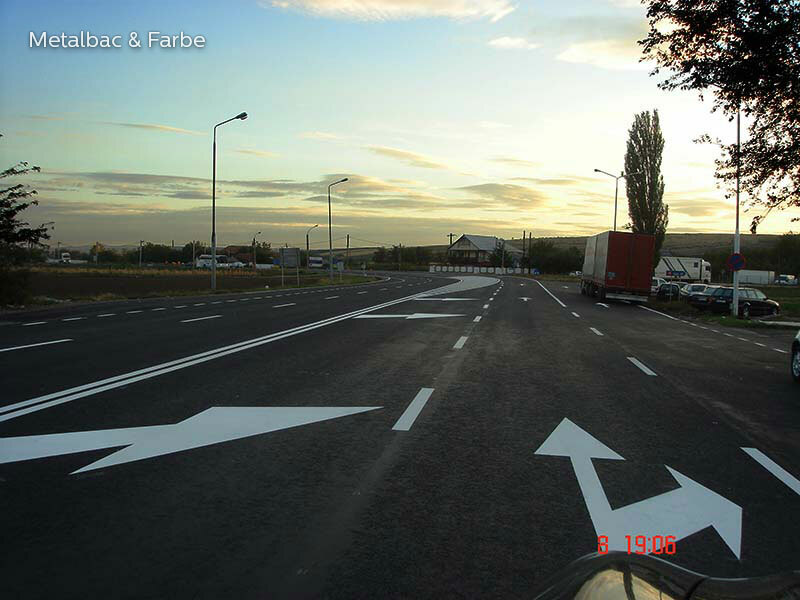 Depending on application method used, the bicomponent material Farbeplast – Plan is used together with the liquid hardener Farbeplast FP IL or with the powder hardener Farbeplast FP IP. 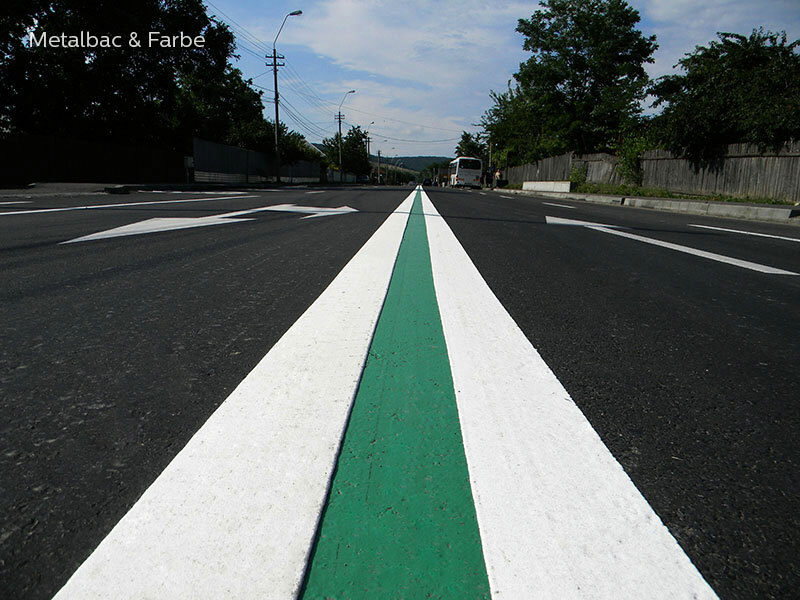 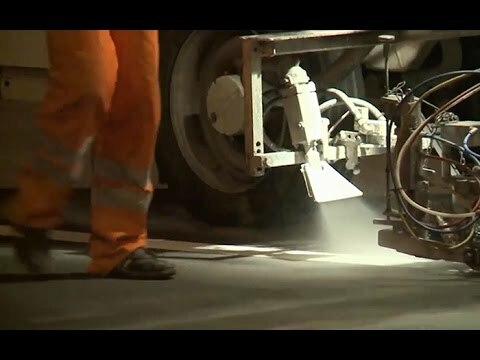 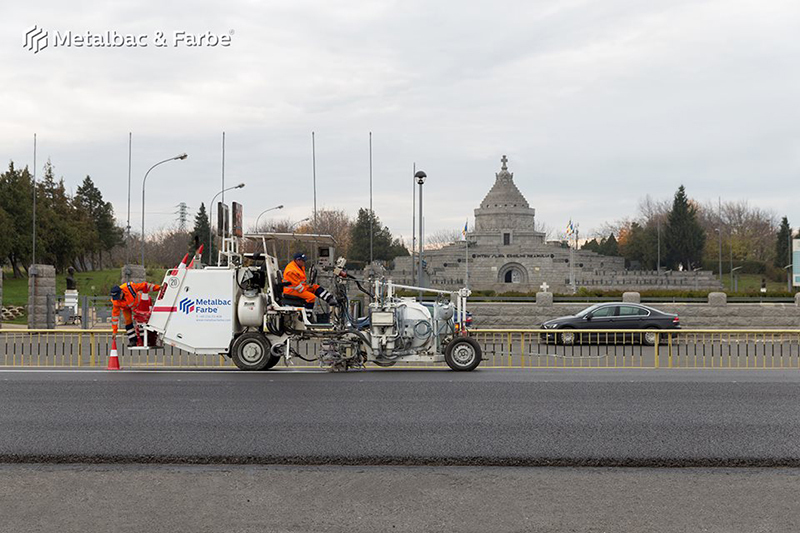 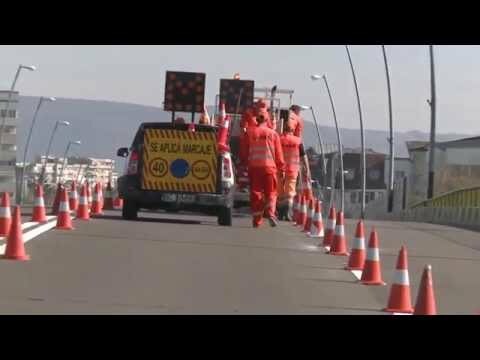 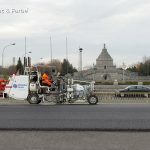 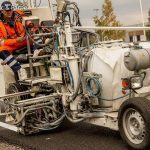 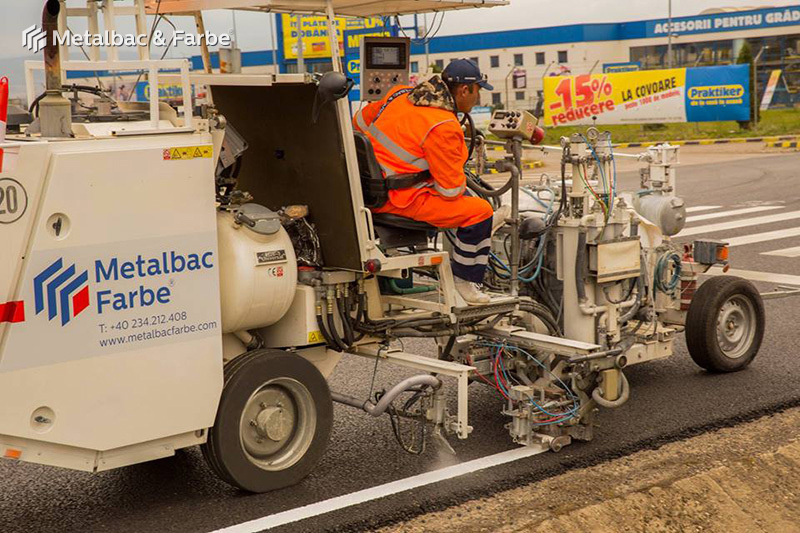 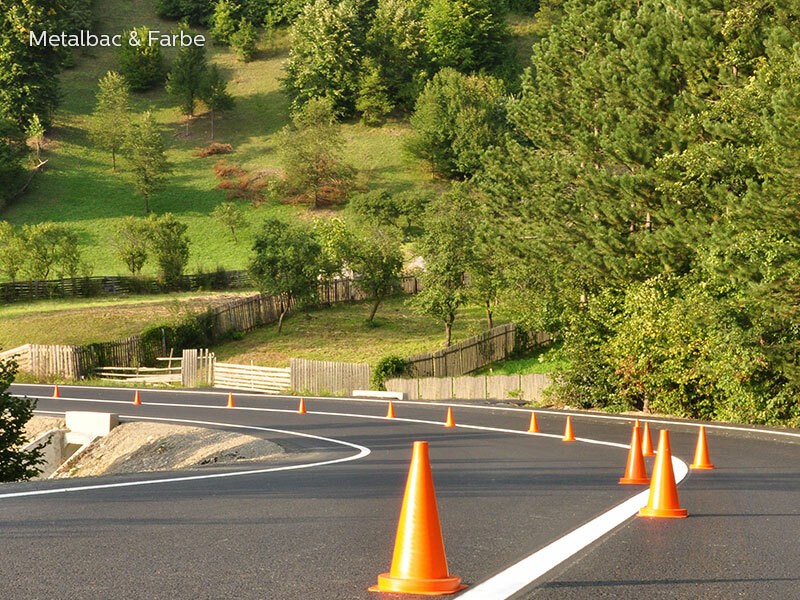 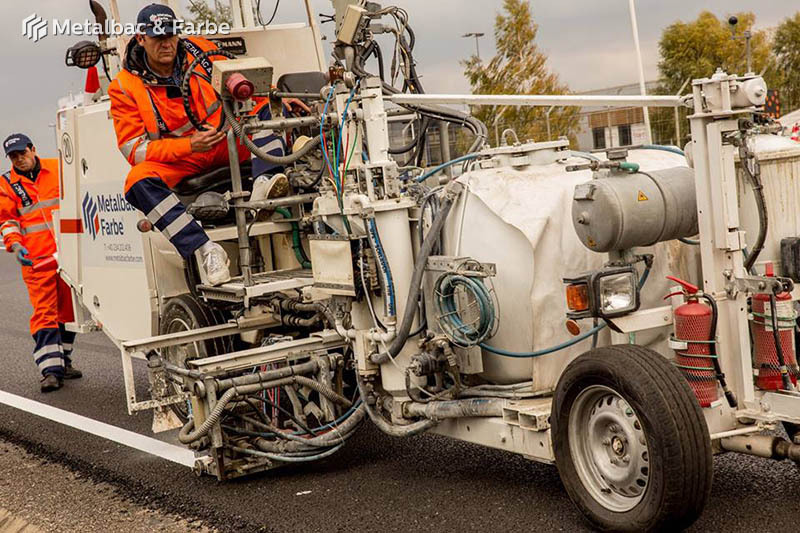 Thanks to its outstanding durability Farbeplast – Plan is recommended for execution of road markings in heavy traffic areas, on roads and highways, on asphalt and concrete surfaces (for concrete surfaces always use before application FP-71 Primer). 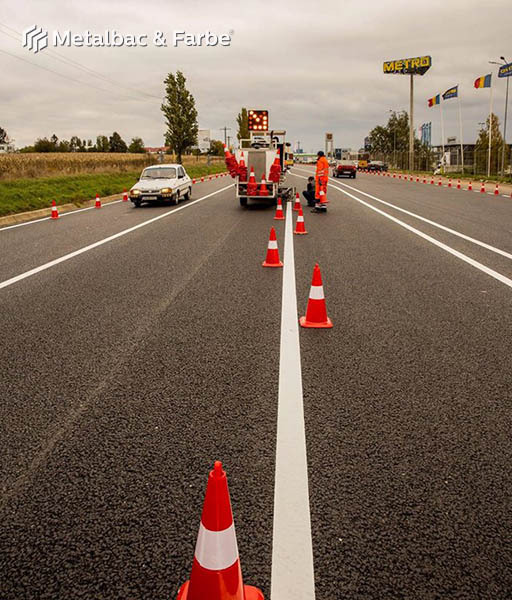 The following colors are available for the cold-plastic material Farbeplast – Plan: white, yellow, black, red, green, blue or other colors on request. 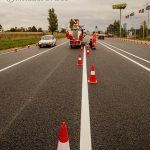 Products: Farbeplast FP-71 primer, Farbeplast FP MR Plan, Farbeplast FP-IP powder hardener or Farbeplast FP-IL liquid hardener, reflective glass beads, cleaning agent FD 200-9. 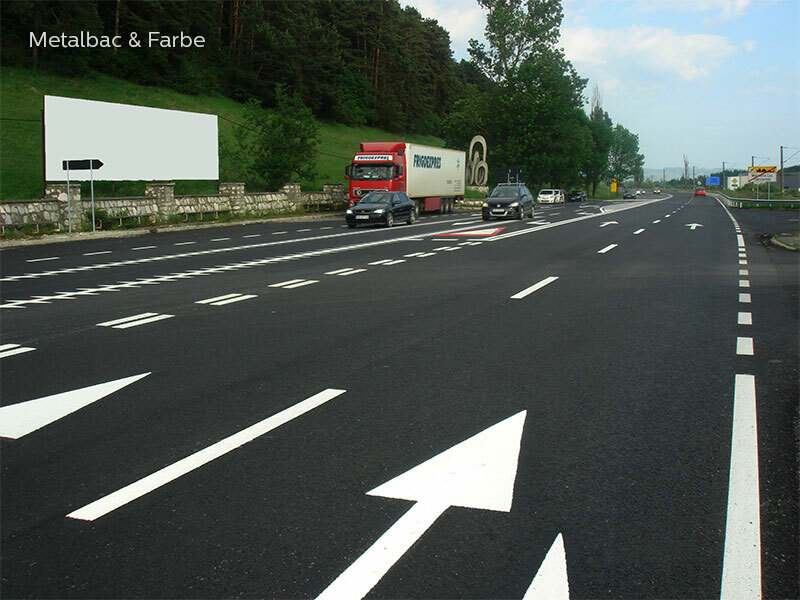 Note: Farbeplast FP-71 primer is used only for concrete surfaces. 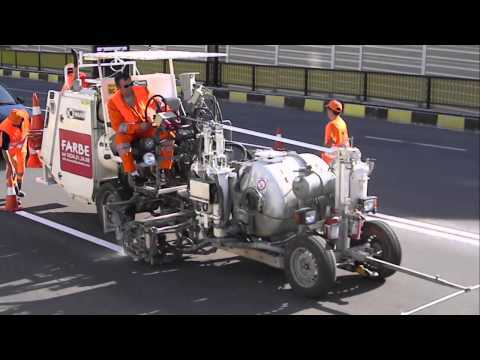 FD 200-9 Cleaning agent is used only for cleaning equipment and tools. 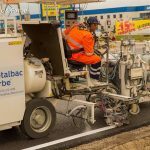 Do not dilute Farbeplast – Plan! 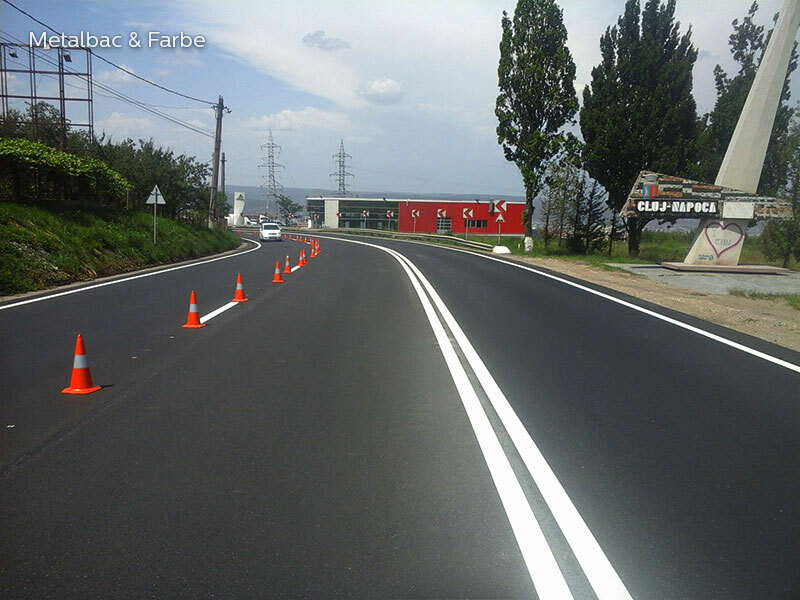 increases traffic safety due to excellent nighttime retroreflection and daytime visibility.